It’s time to put down your pumpkin-scented beverage of choice, and gather some actual pumpkins. That’s how easy it can be to find fall decorations that set a festive tone for the season. Focus on adding simple decor to three key areas to make apple-pie days and chilly (or is it chili?) nights even cozier. 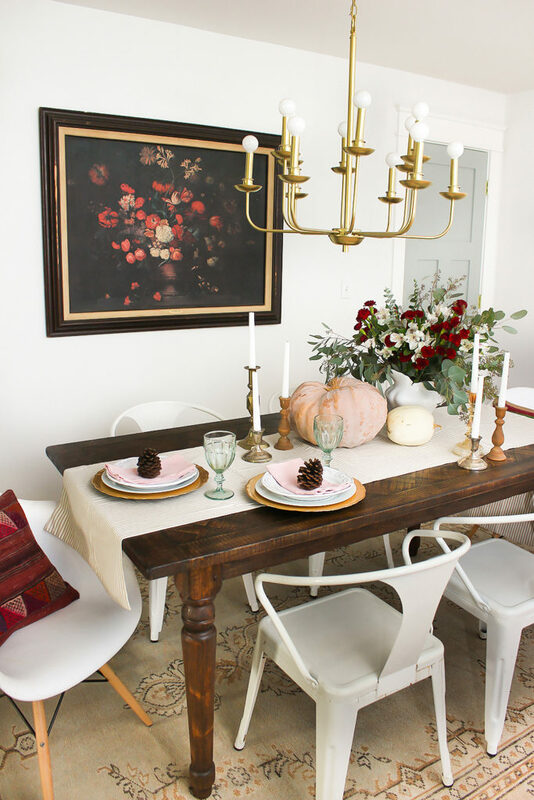 Livening up your dining table with some fall flair is an obvious starting point, since you’ll likely be using it to serve a game day buffet or family feast. You don’t have to overdo it here to make a statement. A few pumpkins, candles, and flowers can make a beautiful table, and don’t require much effort. For the flower arrangement, grab some greenery and flowers from the grocery store. Choose a vase with a narrow opening to help corral the flowers and make them easier to arrange. Put the greenery in first, then add the flowers stem by stem. A bit of garland goes a long way on the mantle. Some fall-colored blooms, pinecones, and candles are great mantel decor. Drape some natural and seasonal garlands, like cotton branches, along the mantel to really make your space feel festive. Give the room a warm and welcoming feeling with a few cozy throws and pillows. Textures like fur and wool add a seasonally appropriate touch. The kitchen is another great place to add a touch of fall. Find a few spots to place your accents, making sure they’re visible, but not in your way. Natural elements like a large pumpkin and pinecones piled in a bowl are all you need. To keep hot beverages and other libations at the ready, set up a drink station on the counter or on a bar cart. Copper mugs and vintage glassware look particularly celebratory. Great suggestions. Fall is a wonderful time for playful, decorative touches. Whether you’re a happy home owner or looking to sell and using the time to boost the curb appeal, this is a wonderful opportunity to do so.